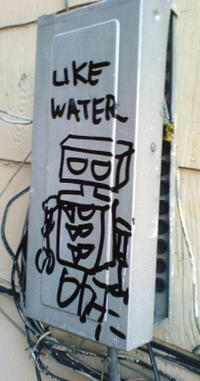 The bot wants water......but it's on an electrical box. 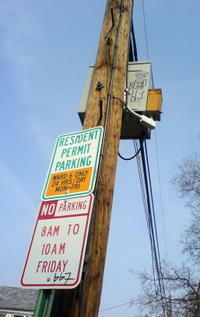 I still can't figure out how the bot got all the way to the top of that telephone poll. 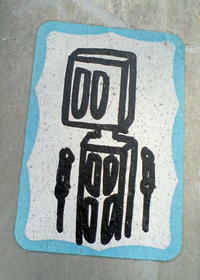 Easton Ave. between Hamilton and Somerset. The robot is in love. 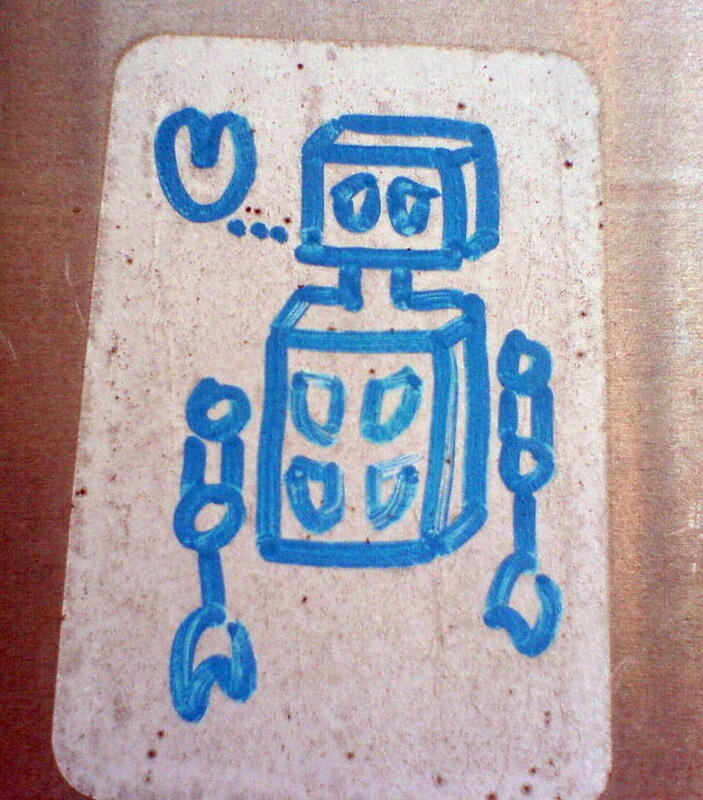 What's he in love with? The sticker sits on a sign in front of Cluck U and Stuff Yer Face, so I think he's in love with bolis and fried food. 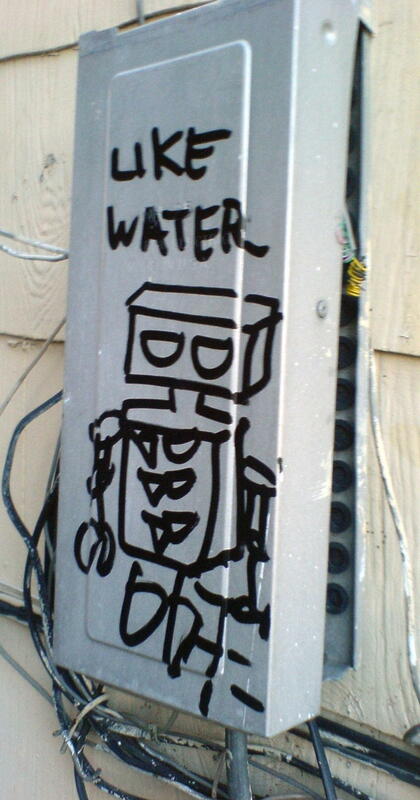 This robot's been everywhere - and for years too. 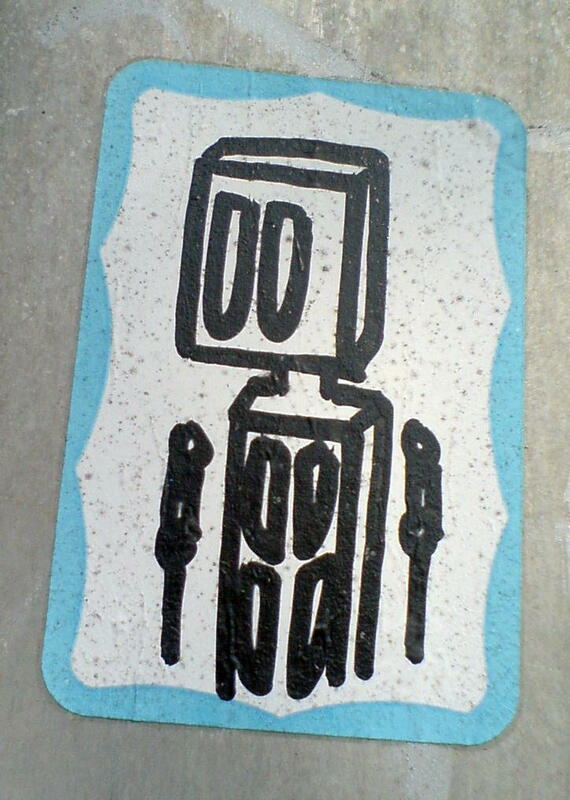 I'm going to follow up with some of the robot's exploits, as he's been drawn with different props and captions all over town.